By definition, 3PL (third-party logistics) companies are providers of outsourced logistics services including warehousing, transportation, order fulfillment, packing, picking, inventory forecasting, freight forwarding, cross-docking and much more. Every 3PL provider is different and unique. One 3PL provider can offer a single service, for instance, warehouse storage or shipping or several logistics services at a go like warehousing, freight forwarding, and order fulfillment. At IM Investment Holdings, we are a logistics company that offers a broad range of logistics services according to the different needs of our customers and their product types. Our company has been featured as a recognized provider in Singapore. Read more from this article as featured by International Enterprise Singapore. Some of the essential logistics services provided by our company are as follows. The increasing number of “open borders” in the current global business economy provides new opportunities for both old and upcoming companies to enter the highly profitable international markets. If you are interested in shipping your products to other countries, our Logistics Company is ready to help in accomplishing your mission. Our experienced international freight specialists and professionals will offer innovative logistics solutions and personalized customer support to ensure that your international shipments are handled efficiently and professionally according to your company’s preferences and specifications. The benefits of importing, exporting and licensing products can be cost-prohibitive and challenging if not handled by an experienced international freight forwarder. Our company promises to handle all your import, export and licensing needs professionally to help you minimize any unnecessary international trade hurdles that might bring losses to your business. Our import licenses around the region help you to get your product to your clients without the hassle of going through the red tape yourself. 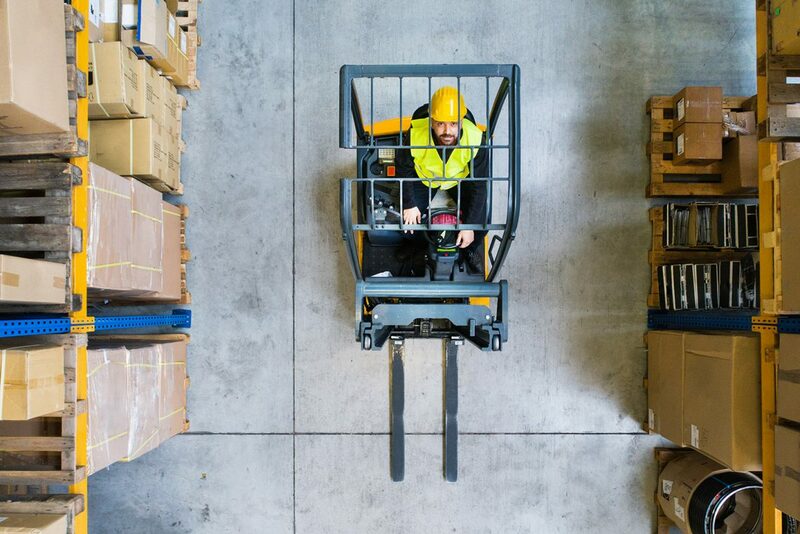 Warehousing can save or break your business. Our company uses its extensive network of shared and dedicated distribution and storage solutions to help you fulfill all your commitments to your clients wherever they are in the world. If you deal with perishable products, our company has advanced cold storage facilities to ensure the proper preservation of all your products. Other warehousing-related services offered by IM Investment Holdings include order administration, inventory management, and fulfillment, labeling, repacking, kitting, quality inspection, yard management, dynamic and static replenishment, location/ site analysis, and much more. Our local delivery services are not only in Singapore but also in your key markets around the region. Although we have our delivery vehicles, we sometimes outsource local delivery. However, due to our volume, we can get the best delivery rates for you. Our logistics company promises to offer scheduled and on-demand same day local delivery services for all your products. Effective customer order fulfillment and management services are a major component of any successful supply chain system. Our company uses advanced and efficient communication and transport equipment to ensure your cargo is delivered to your clients on time and in an excellent condition. If necessary, we can give you access to our Warehouse Management System (WMS) so that you can track your stock. In conjunction with our business partners and customers, our company also offers free marketing and direct local and international market access to your key markets in Asia. Our extensive network in Asia means that we can help you market your product to both B2C and B2B customers. If your business requires Halal logistics services, our company has everything you need to cater for the logistics needs of all your Halal products. We ensure your products do not come into contact with any haram (forbidden Islamic foods) like pigs, dead animals, carrion, animals with claws, talons or fangs, and much more. Apart from adhering to strict Halal hygiene and sanitation regulations, our company also ensures that your products are shipped and delivered using equipment or utensils that are free of impurities as laid down in the Muslim law. Outsourcing logistics services from 3PL providers give you the freedom to focus on developing other areas of your business, including manufacturing and marketing. Our wide range of high-quality services takes away all your warehousing and logistics worries while giving you the time to focus on growing your business. Besides providing for all your logistics needs, our services are also cost-effective and flexible enough to suit all your business needs. By origin, Halal is an Arabic term meaning permitted or allowed by the Islamic law. The rapid interest and growth in Halal production, storage, and delivery has captured attention across several industries globally, especially the food industry. In fact, the global halal market is estimated at 16 percent of the world food industry. The growing Muslim population, as well as the developing economies of the Muslim and non-Muslim countries, are some of the primary drivers behind the growth of Halal products. This article provides some information on Halal delivery and storage solutions which I.M. Investment Holdings provides. These include warehousing needs and international or local delivery. What Constitutes Halal Delivery and Storage? Storage: Halal demands that any product prepared, manufactured, processed, packaged, and stored does not come into direct contact with any forbidden food (haram), for instance, carrion, pig or animals with talons, claws or fangs. Also, the storage premises should follow the strict Halal sanitation and hygiene procedures. Delivery: Every halal-certified product should be processed, prepared, transported, and delivered using utensils or equipment that are free of impurities as stipulated under the Muslim law (Hadith and Qur’an). Halal-certified logistics companies have the know-how in handling products as outlined under the Muslim law. Thus, using Halal Delivery and Storage Services will not only attract loyal Muslim halal conscious customers to your business but also some of the non-Muslim Halal conscious customers. The annual worldwide halal food trade stands at approximately US$1.75 trillion. Halal certification is compulsory when entering the global Halal market because it helps most Halal conscious consumers to decide which products to purchase. 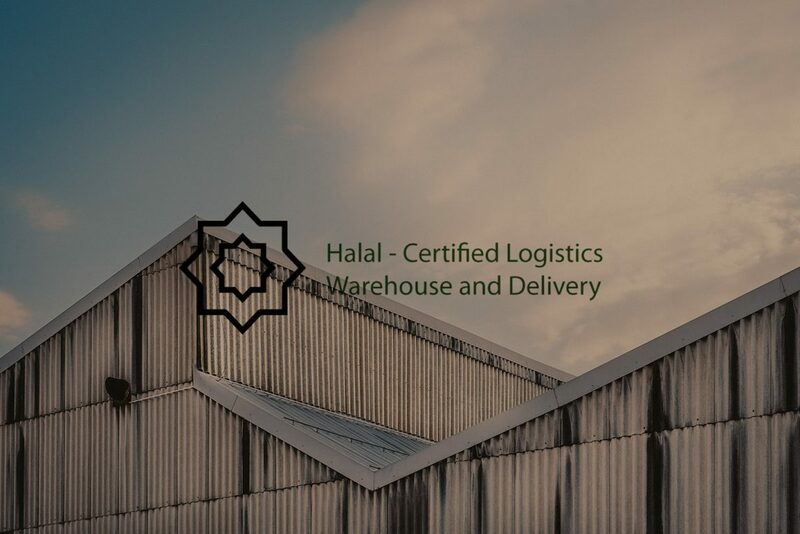 Therefore, using Halal-certified logistics companies not only helps you to expand your marketplace but also to meet local requirements, which helps to increase your sales and revenue. Halal delivery and storage companies often bring Muslim inspectors to their stores on a timely basis to perform routine checks. A majority of Halal-certified logistics companies are ready and willing to share and explain their halal standards with their customers as a guarantee of outstanding hygiene levels. Therefore, hiring a Halal-certified logistics company instills confidence in your Halal conscious clients about the outstanding hygiene standards of your products. Getting Halal certification is a genuine and practical way to attract both local and international halal conscious food consumers. Using halal-certified logistics companies to store, transport, and distribute your food products can help you to win a majority of customers who prefer Halal food. In fact, using halal storage and delivery services to handle your foodstuffs shows your commitment to providing high-quality halal-certified foods to your clients. Halal delivery and storage companies ensure that prohibited materials are not used for the storage, distribution, and delivery of products. As we speak, the Halal concept is no longer exclusive to the food industry. In fact, Halal currently covers the entire process of packaging, handling, storage, transportation, and delivery of many other products. Hiring a halal distribution and storage company will increase not only customer trust and loyalty but also the profitability of your business. 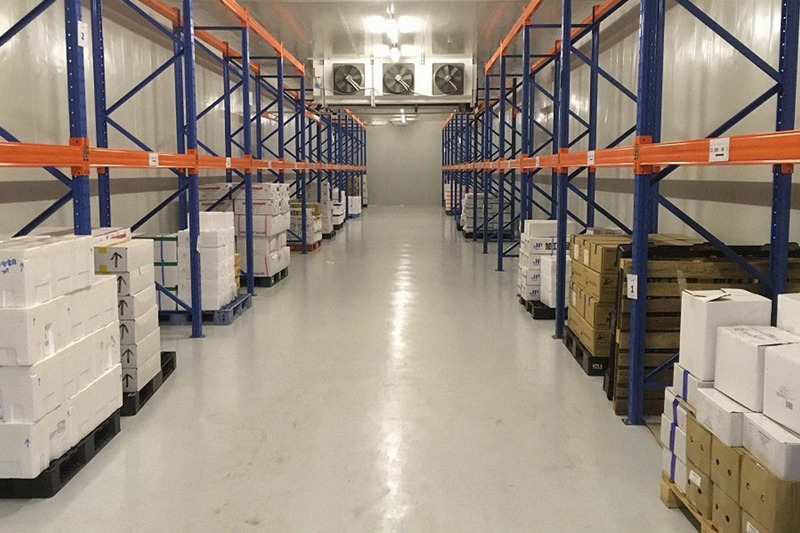 When it comes to cold storage facilities, two options are available for you. You can opt to purchase or build an industrial freezer or cold storage facility. Or you can rent cold storage warehouse. Comparatively, renting a cold storage warehouse has many advantages than buying or building a cold storage facility. This article will disclose to you the benefits of renting cold storage warehouse. As your business grows your cold storage requirements also expand. Renting a cold storage warehouse gives you an opportunity to upgrade or downgrade depending on the growth of your business. You can hire the cold storage warehouse when you require it and terminate the hire contract when cold storage is no longer needed. On the other hand, downgrading or upgrading becomes pretty difficult when you have invested in buying cold storage facilities. Also, the flexibility of having different temperatures is essential when you have different requirements for your products. Frozen food require temperatures as low as -25℃, while temperature sensitive products may just require a temperature of 15℃. At I.M. Investment Holdings, our cold storage solutions give you the flexibility to grow with your business. Our facilities include double door access to reduce temperature fluctuations with multi-zoned temperature-controlled areas for various product types. Some of our cold stores are right next to our Central Kitchen facilities, which is ideal for companies in the Food and Beverage industries looking to leverage our infrastructure. If your production company only needs a cold storage warehouse temporarily or would like to test out commercial cold storage before committing to a full-time cold storage unit, a rental storage warehouse is a perfect way to go. The flexible hire contracts offered by most logistics companies gives you the power to settle or even negotiate a lease agreement that suits your specific short-term cold storage needs. Our logistics specialists at I.M. Investment Holdings will be happy to find the best fit for you. Compared to buying cold storage equipment and facilities, hiring a cold storage warehouse saves you a lot of money. Additionally, renting a cold storage warehouse gives you a perfect overview of your general operating costs. When you choose to rent a cold storage unit and pay in installments, it is much easier to keep track of your outgoing expenses because you will have an affordable amount of cash being deducted from your bank account monthly. Furthermore, the favorable tax regulations for rental costs may help to reduce your overall expenses. This cost-effectiveness not only improves your financial records but also allows you to stay on top of your ROI. Maintenance is an essential part of looking after any cold storage facility. If you build or buy cold storage equipment, you will be required to perform routine maintenance to enhance the efficiency and durability of your cold storage facilities. You will also need highly trained personnel to keep the equipment running. When you rent a cold storage warehouse, there is no charge for the regular wear and tear. Thus, you will spend less time taking care of the state of your cold storage units and more time to focus on boosting the productivity of your business. You only pay for what you use. Aside from core services provided by outsourced cold storage providers like warehousing and shipping, another benefit is that you can also get lots of extra services like packaging, bundling or labeling. Some services can also be more custom made such as invoicing, placing your logo on packaging or waste management. Our other capabilities include being able to market your product across the region through our off-line network and on-line capability. We are happy to partner your company to drive revenues by enabling direct access to overseas markets. We are able to deliver door-to-door in the region, getting your product directly to your customers. Building or buying a cold storage warehouse is not only expensive but also less flexible. The only easy and quick way to increase the cold storage capacity of your trading/ producing company is renting a cold storage warehouse. A hire contract is not only easy to set up but also easy to understand. All you have to do is to select the type of cold storage you prefer and how long you intend to use it. Your logistics company will handle the rest for you.